In both cases, the cause of the error is due to parts of a previous install still being on the computer, and the new install can not over write the files that are still on the computer. So how do you fix this error? and download the tool. Once you download it, click on the took to run it. Once it starts you will see the main page of the tool. Just click Next. Depending on what it finds, it may prompt you one more time, that it found additional files. If you see that 2nd prompt, just select next on that prompt too. Once it completes it will tell you its done, just click finish. 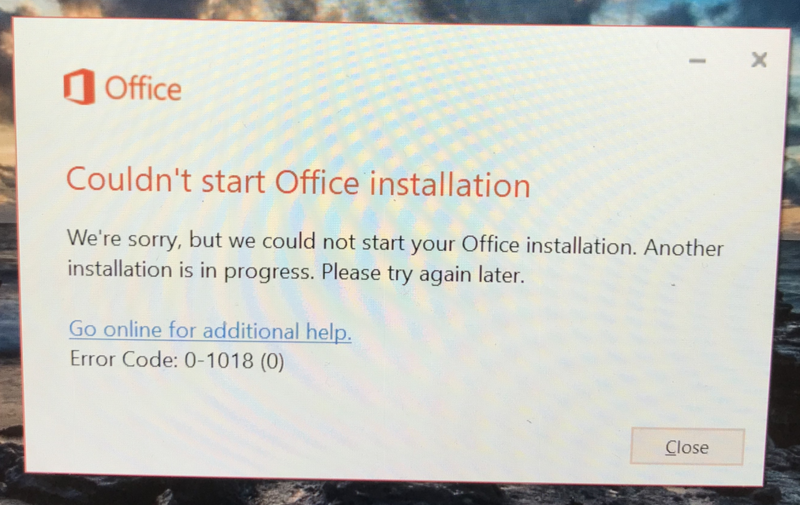 At that point, you should be able to install Microsoft Office on your pc. 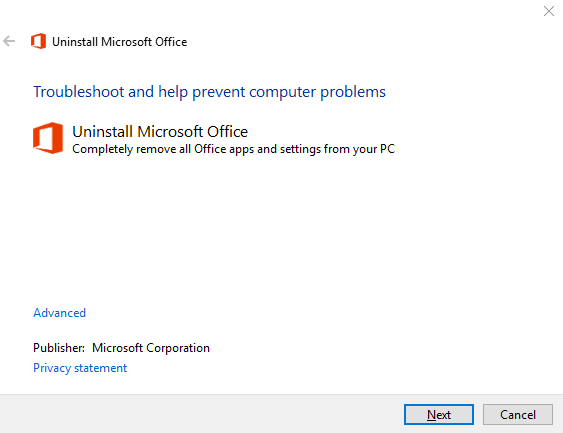 This tool works for all versions of Office start with Office 2010 to the current version.